This is our range of inflatable stand up paddleboards. Please note that currently not all colours are available in each size, so it would be best to call the shop to check availability before you buy. 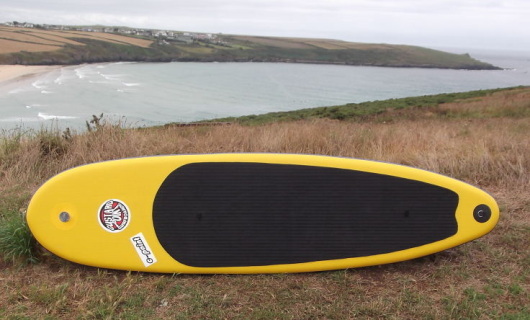 Custard Point have been designing and building championship winning surf boards and equipment since 1983. 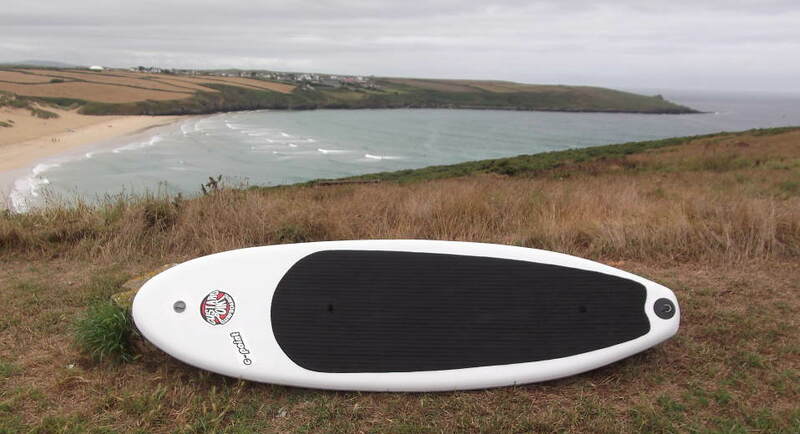 In 2008 we introduced the first European designed inflatable SUP's to our shores. 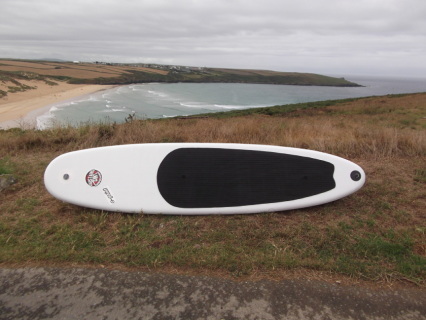 Today, the Custard Point inflatable range consists of 9 high performance computer designed surf and SUP shapes.The "skin",is manufactured from layers of military grade material, this is the same as used on military inflatable boats (RIB's). Multiple layers are laminated together to produce a virtualy unbreakable, airtight skin that can be left pumped up for months without noticing any air loss.The "skins" are then connected with "drop stitch" technology (there are 10 supporting anchor points per inch between the top and bottom deck). This "drop stitch", gives the Custard Point inflatable incredible rigidity and minimum distortion when inflated to its optimum pressure of 15-17 PSI. However,We do not stop there !!!! Unlike others, The Custard Point inflatables also have a "carbon / kevlar strengthening strip bonded between the layers on the bottom deck. This increases the rigidity and reduces flexation, resulting in higher performance and "hard board feel". This makes the Custard point inflatable the strongest on the The market. People are amazed when invited to stand on one in the car park when they find the deck does not sink under their feet, and how solid they are when squeezed with all their strength.  They are truly rigid !!!!. The fins are of moulded rubber composite. They can withstand all manor of impacts/ collisions/ crushings. If you are surfing, running the rapids or just enjoying the coasts,rivers and lakes, you can be assured that the Custard Point inflatable is the most travel friendly, durable paddle product on the water. We have driven over one of our SUP boards, pelted it with bricks and thrown it off a cliff, Then taken it surfing, still fully functioning.!!!! Wherever you are going, the board should still be in one piece when you arrive.Our Custard point inflatable range come complete with a fitted high grip eva deck patch, deck paddle loops(only on the SUP's), nylon carry bag, repair kit and the amazing easy action pump, (this pump inflates to the optimum pressure of 15-17psi in well under 5 mins). PUMP YOUR RIDE !!!! The 8'11" inflatable is in our opinion a surf inspired masterpiece.